A unique opportunity for children with special needs to enjoy their break from school. Together, with our dedicated teen volunteers and therapists, children participate in exciting field trips, activities, sports, art, and so much more. 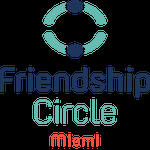 Please make sure you have registered as a special friend, click here.